Le Caveau presents an exclusive evening event focusing on minimal intervention wines and no frills seasonal French cooking, with a lot of heart. 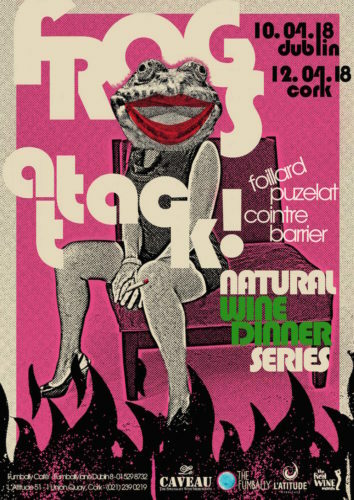 Antony Cointre, the Flying Cook, will be accompanied by his friends: natural winemakers Agnès and Jean Foillard from the Beaujolais region; Thierry Puzelat from the Loire Valley, as well as the writer, comedian and wine enthusiast Sébastien Barrier. The dinner, which will take place in The Fumbally Café will feature a six-course tasting menu prepared by Antony, alongside a choice menu of wines from the winegrowers. All wine will be available at cost price on the night.